Irene is a river, not a reservoir; for a river flows quenching the parched while a reservoir hoards its water. The water in question according to this 3rd year student of Planning and Logistics at Mutesa I Royal University is knowledge and experience. She has acquired much of it from her mentors, which has reinforced her desire to be a river to those in her community. Before she joined the Program, she did not any knowledge about the status of women’s leadership in Uganda, and what that means for the future of the country. Like many young people, she had strong apathy about voting and politics generally. Today, she is aware about her civic rights, life of women politicians, and what it takes to participate in electoral and democratic processes. Equipped with this information Irene carried out civic education in her university and mobilized over 30 of her friends and course mates to go and vote in February in the National elections in Uganda. Irene was also among the 27 young women that took the study tour to Rwanda where they met various women Members of Parliament who exposed them to female leaders in action. The women openly shared their experience and responded to questions regarding what it takes to succeed as a woman politician. With this exposure, Irene gained renewed confidence that enabled her to become the President of Rotaract at her University and a member of the Student Guild Council. It is this experience that continues to shape her approach to leadership in her various capacities and she has endeavored to emulate this inclusive approach to leadership. Now in her final year of study, Irene’s focus is now on her career. 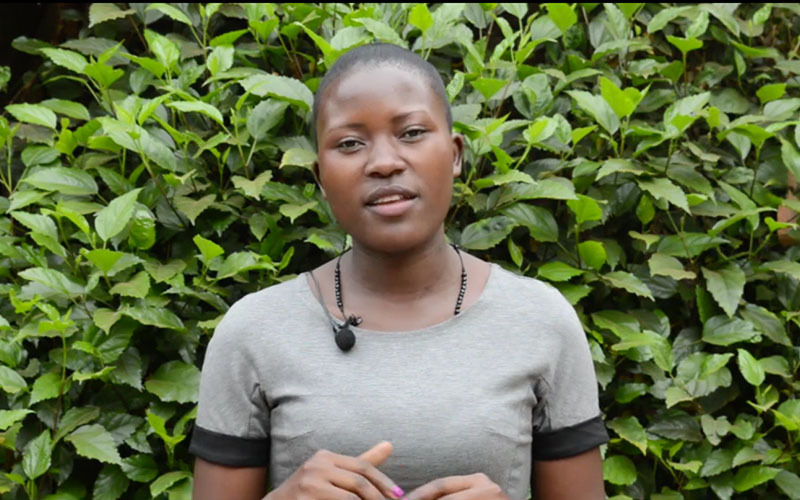 She is currently undergoing industrial training at Civil Aviation Authority in Entebbe and she is described by her colleagues as a “Rising Star.” In the course of building her career, Irene draws on lessons imparted to her by the mentors whom she seeks to emulate by becoming a positive influence in her community.